As Cheshire solicitor Sally Clark - convicted of killing two of her babies - is freed by the Court of Appeal, BBC News Online looks back on the case. Opinion on Sally Clark was polarised during her trial and her subsequent campaign to quash her conviction. 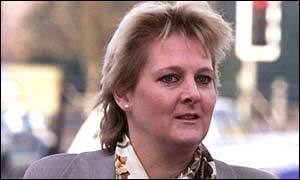 Mrs Clark, 38, from Wilmslow, Cheshire, was convicted of murder at Chester Crown Court in November 1999. We were meant to have children and I loved them so much I couldn't believe it happened twice." She denied smothering her sons, eight-week-old Harry, and Christopher, aged 11 weeks, and said they must have died of "cot death syndrome". The Crown portrayed her as a "lonely drunk" who missed her well-paid job as a solicitor and resented her children for keeping her at home. But her supporters say she always loved her children and was supported by her husband Stephen. Mrs Clark herself told the trial: "We were meant to have children and I loved them so much I couldn't believe it happened twice." She gave birth to a third child after Harry's death, who is now being cared for by her husband. The crux of the case revolved around whether it was conceivable the "cot deaths" of two of Mrs Clark's children were coincidences. Eminent paediatrician Professor Sir Roy Meadow, who appeared for the prosecution, estimated the likelihood of two siblings dying of "cot death syndrome" were one in 73 million. This was damning evidence against Mrs Clark. But her husband and supporters took issue with Sir Roy's evidence. They were supported by the Royal Statistical Society, which took the unprecedented step of writing to the Lord Chancellor stating "there was no statistical basis" for the figure. Dr Stephen Watkins, Director of Public Health at Stockport Health Authority, said Sir Roy had made a fundamental mathematical error. Dr Watkins said when correctly calculated under the laws of probability the odds against the two deaths dropped dramatically. Mrs Clark said she found both babies lifeless. Christopher was found in his Moses basket while Mrs Clark's husband was at a Christmas party and Harry was found in a bouncing chair. The death of Christopher in December 1996 was initially thought to have been due to a breathing problem. But that was reassessed following Harry's death in January 1998. In October 2000 Appeal Court judges threw out her first attempt to have her conviction quashed, saying there was "overwhelming" evidence to support the conviction. The judges - who on Wednesday were examining the case for a second time - would have been more concerned with fresh evidence than opinion. Campaigners for Mrs Clark hoped the keys to unlock her cell door were laboratory tests commissioned by a Home Office pathologist on Harry, the second of her babies to die. Mrs Clark's lawyers say the tests showed "lethal" levels of bacterial infection which indicated Harry died of natural causes. The jury was not told of these test results. The tests were among fresh evidence included in a dossier which persuaded the Criminal Cases Review Commission to refer the case back to the Court of Appeal last year. She was freed on Wednesday, after her second appeal.